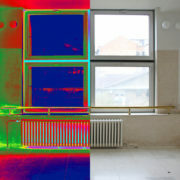 You are here: Home / Thermographic imaging / Where Are Energy Leaks Most Often Found in Commercial Buildings? 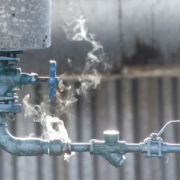 Where Are Energy Leaks Most Often Found in Commercial Buildings? 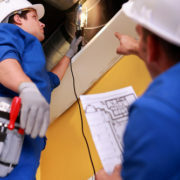 Energy leaks are common in commercial buildings. The bad thing is most business owners don’t even know they are wasting energy and money with each passing day. What business owner or maintenance professional has the time to survey the entire building for energy leaks? Luckily, these leaks tend to collect in a few common areas. It can be difficult to detect these leaks without the help of thermographic imaging so here are the most common places to find them. 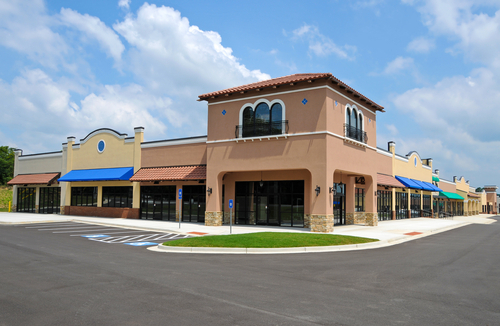 You may have the top-of-the-line HVAC system in your commercial building, but without frequent electrical testing and inspection, you could still be wasting energy. HVAC systems with poorly sealed ducts most commonly create energy leaks. However, you also need to frequently check your electrical connections since a corroded or loose connection could cause the system to overheat and use more energy than necessary. 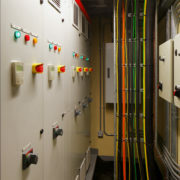 Transformers and control circuits are the two main culprits of energy waste when it comes to electrical systems. 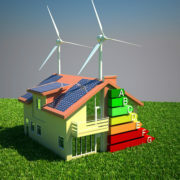 Most people don’t think electrical systems can waste energy so they don’t check them. 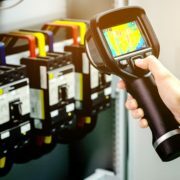 However, with the help of thermal imaging services, you can detect any sort of energy leak coming from an electrical system and prevent it from occurring in the future. The building envelope is the entire building structure, including the roof, the walls, doors, windows, penetrations and anything else. It’s nearly impossible to have a perfect building envelope so that’s why thermographic imaging is important to detect places where energy could be leaking. Any part of the building envelope is prone to leaking, but frequent maintenance could significantly reduce the amount of energy loss. Electrical motors always waste energy. They frequently malfunction and overheat so monitoring and testing them is critical to reducing energy waste. Be sure to check all of the bearings, electrical connections, airflow and other components to ensure the energy leaks are as minimal as possible. Energy leaks can come from almost anywhere in a commercial building. No one has the time to check these components on a daily basis as required so contact us at Infrared Consulting Services. Together, we can schedule a thermographic imaging test to help reduce the amount of energy leaks at your business. 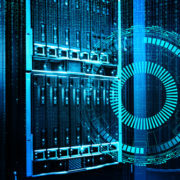 http://irtest.com/wp-content/uploads/2016/12/21216200ftl.jpg 326 500 InfraRedConsulting http://irtest.com/wp-content/uploads/2014/11/infrared-testing-service-logo.png InfraRedConsulting2016-12-22 08:00:352016-12-12 13:26:47Where Are Energy Leaks Most Often Found in Commercial Buildings? Are Infrared Windows the Thing of the Future? Covers and Panels: Should They Really Be Taken Off? How Can an Electrical Infrared Survey Save Money and Energy? Site by Mitch Rossow Design, Inc.